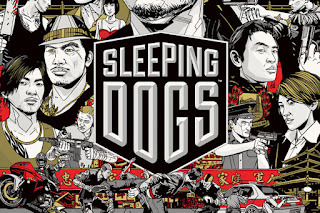 Sleeping Dogs in just a few short weeks from release and United Front Games has revealed the voices behind the characters of Sleepings Dogs. Actors Emma Stone, Lucy Liu, Tom Wilkinson, Tzi Ma and Will Yun Lee, among others, all lend their talents to make this quite the star studded voice cast. Sleeping Dogs is set to be released next month on Xbox 360, PS3 and PC. Microsoft has unveiled, at the 343 Industries comic con panel, the Halo 4 Limited Edition Console Bundle. 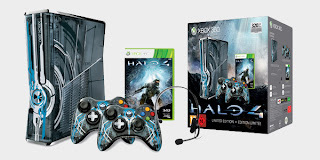 The bundle comes with a 320GB Xbox 360 console with a custom design, two exclusive controllers, a standard edition of Halo 4, a wired headset, built-in wi-fi and a XBL tokens for in-game items and avatar marketplace downloadable content. The console bundle is priced at $399.99 and is up for pre-order now. Check out the official press release HERE. Sony and SuperBot Entertertainment have announced the two newest addition to their beat-em up brawler Playstation All-Star Battle Royale. Jak & Daxter and Cole McGrath have been confirmed as playable characters joining Kratos, Big Daddy and many others. The game launches on October 23. New information out of SDCC reveals some of the new features and places coming to the game. The location we get to see is called Sanctuary which has a few familiar face including Mad Moxxi and Dr. Zed. Some of the new features that we get to see from the new gameplay are the customization's; secret stash, which lets you share weapons between you characters; and Badass rank. Badass rank is a system that rewards you with tokens for completing challenges and then lets you use those tokens to power use certain stats on your character. 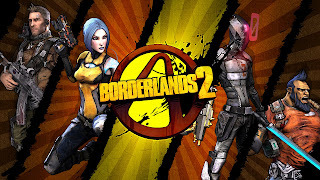 In all Borderlands 2 is shaping up to be the game to beat when it's released this September. 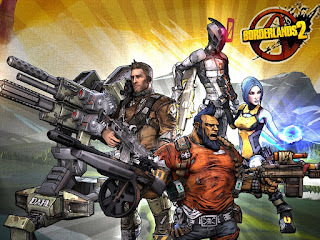 The guys at Gearbox Software have outdone themselves with this one. 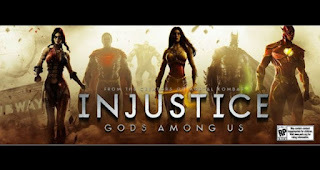 Direct from the SDCC, Ed Boon and Neatherrealm Studios have revealed two new character from their upcoming brawler Injustice: Gods Among Us. Cyborg and Nightwing will join the roster of already announced. 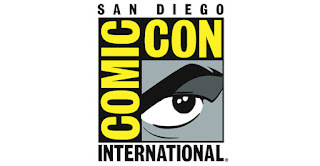 The San Diego Comic-Con is in full swing and every gamer, comic book enthusiast or movie fan should be enjoying everything that comes out of the show over the next few days. Similar to E3 I've created a SDCC 2012 menu item where I'll add interviews, stage demos, gameplay vids and trailers that come out of the show. 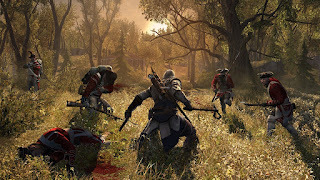 So far Borderlands and Assassins Creed III have impressed with the new gameplay and mechanics that they've revealed. You can also check out IGN, Gamespot, Destructoid and other game site for more in depth look at everything SDCC 2012. Over the past few days the interweb has been buzzing with the news that surfaced about a new console heading to market next year. What's so special about this console? Well it's designed to be open source and allows you develop games for the system without the hassle and expense of developing for one of the current generation consoles. 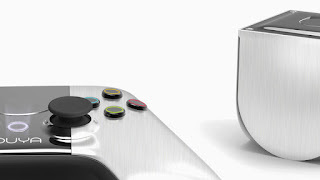 Let me introduce OUYA, a new game console that is powered by Android. This console will be built around the free-to-play model and gives developers access to completely hack the device as they see fit. A rumor has started that states Rocksteady's next Batman title will take him back in time to the Silver Age. Warner Bros. and Rocksteady are taking Batman back to when he first encountered the Joker and may also include the Justice League in some form. 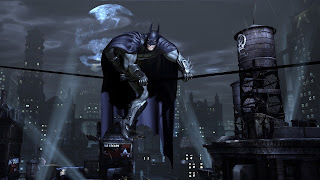 I'm an fan of both Batman games from Rocksteady but we've had two game already with the Joker being in the forefront--how about someone new for the next installment. While just a rumor I look forward to what's next for our caped crusader. With the San Diego Comic-Con in full swing Gearbox wastes no time in revealing a new Borderlands trailer. 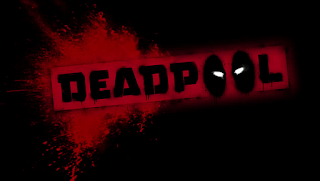 In Gearbox fashion the trailer is impressive and filled with the humor we've all come to love. September 18th cannot come soon enough. It seems that BioWare has more Mass Effect 3 DLC in the works. According to a listing on MajorNelson.com, a Mass Effect 3: Earth Multiplayer Expansion Pack is scheduled to be released next week Tuesday, July 17th. The is no official word on what the DLC Pack will include but you can be sure that BioWare will let us know in the next coming days. Many of you should know Michael Fassbender but for those who aren't familiar with his work; he's been in 300, X-Men: First Class, Inglourious Bastards and more recently Prometheus. 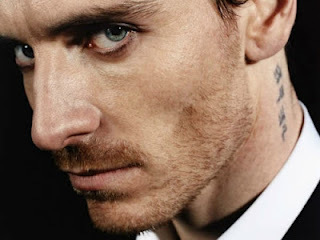 Fassbender has been cast a the lead in the Assassin's Creed movie being made by Ubisoft Motion Pictures. 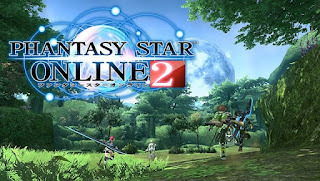 Sega has announced that it is bringing Phantasy Star Online 2 to North America in 2013. Sega hopes that the successor to Phantasy Star Online will be widely received and aims to push the boundaries of the online RPG experience. I thoroughly enjoy my time with Phantasy Star Online when it was released for the Dreamcast, so I can't wait to get my hand on its successor. 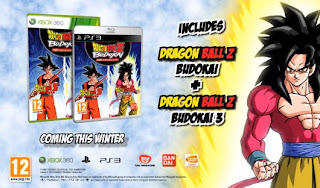 Fans of the DragonBall Z: Budokai games will be pleased to learn that Namco Bandai is developing a HD remake of the first and third game in the series. (A bit strange that they skipped the second). With added achievements/trophy support and HD visuals I know a few people who will enjoy playing this when it's released this winter. The only bad news that comes with this announcement is the HD Collection only seems to be heading to Europe with no word on a States side release. Here's hoping it does. The summer is in full swing and what's the best way to beat the heat? Stay indoors and enjoy your favorite games. Here's a look at what's on tap for this week in video game releases. 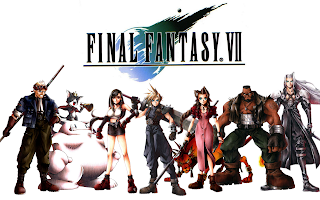 Square Enix has announced the they are re-releasing the popular Final Fantasy VII on PC later this year. With this re-release comes a few additions including 36 brand new achievements, cloud saves and the ability to boost your stats if you're having problems. When we first met The Saints it was in a beautiful CG trailer of them going after Agent 47. Now we get a background look into the characters with their ICA file. CyberConnect2 has been the developers behind the last few Naruto Shippuden: Ultimate Ninja Storm game and it looks like they're continuing with Ultimate Ninja Storm 3. 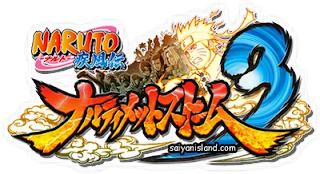 Personally I've enjoyed all of their Naruto Shippuden games as they manage to capture the intensity and scale of the Anime/Manga in video game form. This trailer just shows a return to form for CyberConnect2's next Ultimate Ninja Storm installment. Xbox 360 owners and Resident Evil fans are in for a pleasant surprise today. 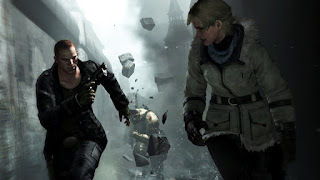 Capcom has released the Resident Evil 6 demo giving those who bought a new copy of Dragons Dogma access to it. The demo lets you play segments from Leon's, Chris's and Jake's campaign and experience all the new mechanics that come with this installment of RE. I know what I'll be playing later today. 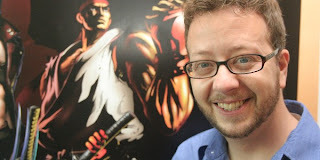 Last week, you may or may not have heard, that Capcom's combat advisor Seth Killian was leaving Capcom. This, I'm sure, was a major surprise to many--including myself. This week we learn that Seth has now joined Sony's Santa Monica Studios as a lead game designer(my dream gig). Seth will be working with develops like ThatGameCompany, FunBits and SuperBotEntertainment, the team developing PlayStation All-Stars Battle Royale. Hats off to Seth in his new role. Coming along with a new trailer to kick of 4th of July, Ubisoft has announced today the Assassin's Creed III Limited Edition and its contents. Contained within is a 9" tall Connor statue, a belt buckle bearing the Assassin's Creed Insignia, in-game items and a special Colonial Flag. This Limited Edition can be yours on October 30th for $119.99 on the Xbox 360 and PS3. On the PC front there's Digital Deluxe Edition which next your several in-game items, for both single and multiplayer, and collection of music from the AC series. July is a slow month for releases and this is evident by the releases for this week. Let's just say we're not looking at much this week, so here's what's on tap for this week in video game releases.